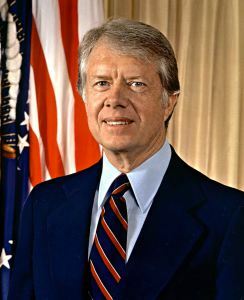 Former President Jimmy Carter, shown in his presidential portrait, recently announced the cancer found in his liver had spread to his brain. Former President Jimmy Carter’s announcement that his cancer has spread to his brain rocked the world, and it also forced a sobering realization upon us all. One of the world’s great peacemakers is, indeed, mortal and, sooner or later, we will be diminished by his eventual passing.